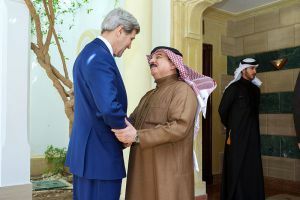 It appears that the Sunni-led leadership of the Kingdom of Bahrain is intent on increasing tensions with the Shia majority. This reality is based on stripping Ayatollah Sheik Issa Qassim of Bahraini citizenship, suspending the leading Shia opposition group called al-Wefaq National Islamic Society, the political sentencing of Ali Salman who leads this movement, and other areas of inciting and alienating the Shia. Therefore, with the oppression of the Shia being ongoing for many years, along with persecuting the main Shia religious leader of Bahrain and trampling down on the main opposition party, then clearly religious persecution and direct intimidation of the Shia is being increased even more in recent times. Sadly, the persecution of the Shia is a continuation of historical persecution of this religious community in countless nations being led by Sunni Muslim political elites. Indeed, in so-called modern nations like Malaysia, the Shia Muslim faith is outlawed and ostracized by the ruling Sunni elites of this nation. Similarly, President Erdogan of Turkey is playing the anti-Shia and anti-Alawite card regionally – while maintaining traditional discrimination against the indigenous Alevi community. Saudi Arabia and the United Arab Emirates quickly shored up the elites in Bahrain despite major hostility towards outside interference. Once more major Western nations sanctioned the anti-Shia angle by stealth, just like favoring anti-Orthodox Christian forces that favor Sunni ambitions throughout the Balkans in Bosnia, Kosovo, and Northern Cyprus. This can equally be seen in events in Yemen where the Saudi Arabia led Sunni coalition is intent on crushing the Shia Houthis. Therefore, state-sanctioned anti-Shia forces and Sunni Takfiri Islamist forces are being unleashed against this embattled religious community in many nations – likewise other minorities including Alawites, Christians, Shabaks, Yazidis, and others, are feeling this Sunni chauvinism throughout the region that is equally being fueled by major Western powers. Shia Muslims in Bahrain rightly feared the Saudi Arabia angle because the same nation brutally killed the holy Shia cleric named Sheikh Nimr Baqr al-Nimr (Sheikh Nimr Baqir al-Namir) in recent times – while adopting anti-Shia policies well before 2011. On top of this, state institutional religious discrimination against the Shia faith in Saudi Arabia is a disturbing reality. It, therefore, appears that regional Sunni Muslim feudal powers will be backing the increasing anti-Shia policies of the government of Bahrain based on the influence of these nations within the body politic of this country. Political dialogue is essential in trying to solve the crisis in Bahrain and the same applies to reaching out to Shia Muslim religious leaders. Sadly, it seems that Bahrain is taking a more severe confrontational approach based on the support that recent Sunni feudal kingdoms provide this nation. Therefore, it is incumbent on major Western nations to firstly not involve themselves with the intrigues of Sunni-led monarchies – and, secondly, to condemn anti-Shia policies being implemented against this embattled community. Events in Yemen do not bode well because sadly major powers like America, France, and the United Kingdom, are participating in the anti-Shia Houthi agenda of Saudi Arabia based on selling military arms and other important factors. If this is replicated continuously in Bahrain, then Western powers will not only be selling democracy down the drain but the Shia, just like Orthodox Christians, will rightly believe that a twin Sunni-West force is against them.